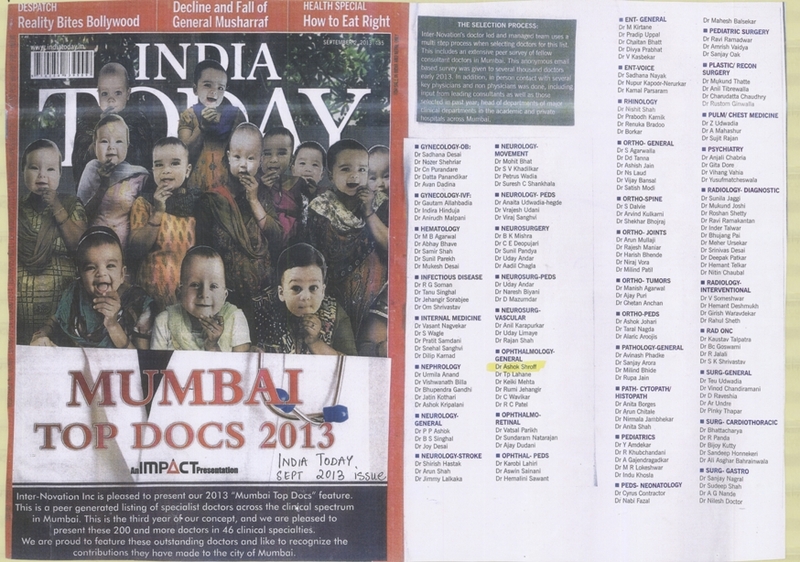 Inter-Novation Inc is pleased to present our 2013 “Mumbai Top Docs” feature. This is a peer generated listing of specialist doctors the clinical spectrum in Mumbai. This is the third year of our concept, and we are pleased to present these 200 and more doctors in 46 clinical specialties. We are proud to feature these outstanding doctors and like to recognize the contributions they have made to the city of Mumbai.